Too often, tours of New York City are paeans to power—extolling the fabled New York skyline and the robber barrons whose wealth built it up, praising the marvels of a city built largely on finance. But New York has also, since its founding, been a city of struggle, a place where workers lived, created wealth, and spun out the rich cultural tapestry that has put the small island of Manhattan at the very center of the world's imagination. It is a city of proletarian uprising, of abolitionist rebellion, of civil rights demonstrations, and radical futures. This is Bruce Kayton's New York, the town of Emma Goldman and Langston Hughes, of Margaret Sanger and John Reed, of demonstrations and shootouts, of community gardens and marches. 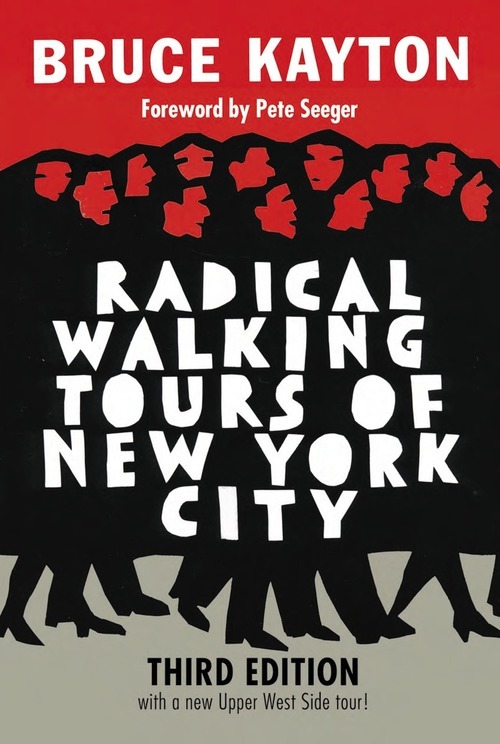 Now in an expanded third edition with a new Upper West Side tour featuring the Berrigans, Maxim Gorky, Lucien Carr and others, and updated sites reflecting recent anti-war and police-brutality protests, Occupy Wall Street and Zuccotti Park, and more, these thirteen walking tours, taking us from Battery Park to Harlem, from the Lower East Side to Central Park, offer a vital new perspective on the history of New York City and its place in the traditions of American radicalism.